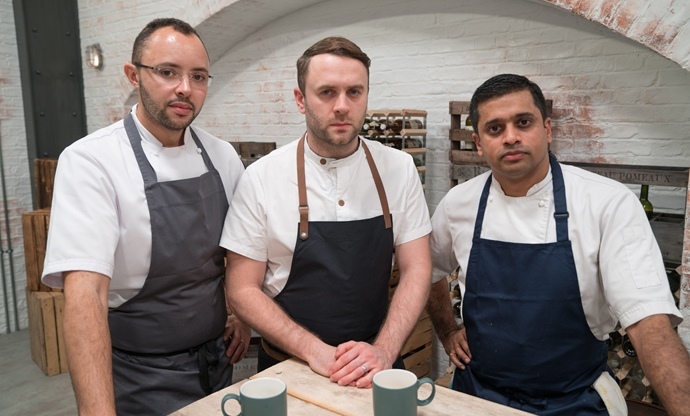 Howard Middleton lets us know how three of the North West's finest culinary talents handled themselves in the Great British Menu kitchen. Welcome to the world of competitive crockery. Yes, this is the week that the North West really ups its game in the plate department with everything from the finest pop art porcelain to artisan stoneware that comes with its own urban myth. But more of that later. Newcomer to the competition, Hrishikesh Desai is the Michelin-starred executive chef at the Lake District’s luxurious Gilpin Hotel. Hrishikesh starts with ‘Old is Gold’ – a medley of golden vegetables and sliced cured scallops, presented on a pure white record-grooved platter, spinning on a retro turntable. Incorporating a recipe for pickled saffron carrots by this week’s veteran judge, Tom Aikens, it also includes toasted hazelnuts, carrot and cumin puree, apple batons and a generous splash of orange vinaigrette. 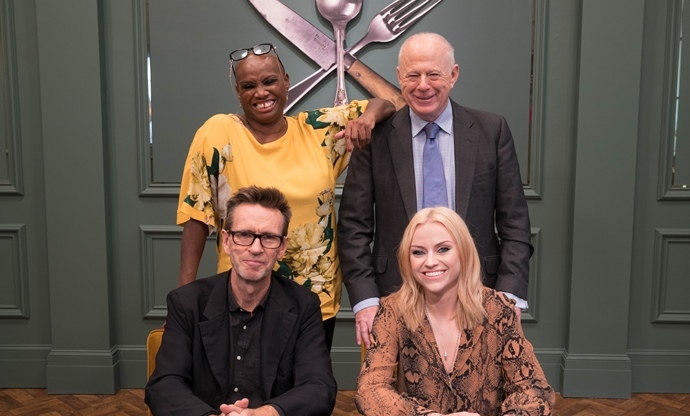 Guest judge, singer and songwriter Amy Macdonald likes the crunchy elements of the dish, as does Andi, but Oliver complains ‘I can’t taste the scallops’ and Matthew grudgingly agrees. Adam Reid, chef-patron of The French at Manchester’s Midland Hotel, enters the competition boldly exclaiming, ‘thinking that you’ve nailed the brief gives you so much confidence’. Adam certainly doesn’t seem short of that. With his hearty starter, ‘From the Beatles to Oasis’, Adam argues that northern bands through the ages have been sustained by home-cooked meals like ‘tater ‘ash’ (or potato hash if your house has bay windows). Beef tartare is seasoned with truffle, smoked salt and charcoal-infused oil, then mixed with diced root vegetables, parsley, celery leaves and beef dripping croutons. It’s served with a thick slab of malted beer bread and a hefty slap of beef butter. Oliver decides it’s ‘a really exciting dish to eat’ and Andi adds she’s ‘quite blown away’. Amy says ‘I’m having to stop myself from wolfing it down’. This week’s rejected chef was the charming Liam Simpson-Trotman, husband of last week’s rejected chef, Ryan. Co-owners of Orwells in Oxfordshire, the couple were shown at home and work, gardening, cooking and eating. They discussed conflicting options for cooking their homegrown tomatoes with barely a whispered frisson of domestic discord. 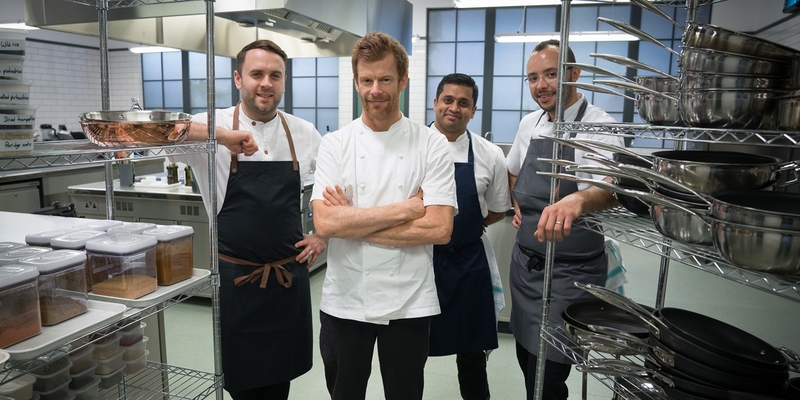 Having presented three heartfelt courses that didn’t quite take off with veteran judge Tom Aikens, Liam saved the best for last with his impressive dessert, ‘What’s Your Guilty Pleasure?’ He even got Tom to gamely attempt a burst of Rick Astley. Yes… well, Liam’s dessert was impressive. Adam’s fish course ‘Northern Soul’ may flummox a fair few by consisting of cod not sole. Its high fat content is also causing an alarming flutter in cardiology departments. Onto heavily buttered leeks, he arranges almond-poached cod loin and tops with polenta-coated cod cheek fried in bacon fat. Flavoured with smoked cod roe, his cream and butter sauce is speckled with chives, trout roe, caviar and dashi granules. Oliver says it’s ‘a gorgeous looking dish’ and Matthew approvingly concludes ‘I say yes to Northern Soul’. 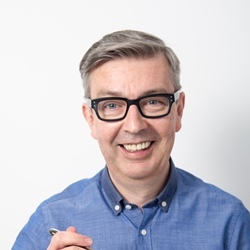 Taking a brief interlude to discover the origin of Adam’s bespoke tableware, we’re treated to another visit from Gary ‘Mani’ Mounfield, star of the first week’s judging chamber. Apparently he introduced Adam to the ex-sound engineer for the Stone Roses, now turned potter, Ian Wilde. Ian and Mani regale us with tales of a drunken night out in Manchester that led to Ian trying his hand at a potter’s wheel. Those sitting on (or near) Mani’s table at the banquet are certainly in for a night to remember. Hrishikesh’s claim to pop music fame is that he once taught Pink Floyd’s drummer Nick Mason to cook Indian street food. He captures the event in his fish dish ‘Curry and Rock’, which appropriately is the one with the pop art plate. Onto a spiral of yogurt and cardamom gel, he arranges rillettes of oak-smoked salmon belly and adds a ‘boat’ of aubergine masala and eryngii mushrooms with little blanched carrot ‘notes’. Slices of salmon loin are topped with puffed rice, tomato and chives and served with a smooth sauce of tomato rasam. Andi and Oliver pick at it; the latter acknowledging it’s ‘a busy little number’. Amy is in the minority when she admits ‘I think it’s delicious’. ‘Comfort Food Sounds Good’ is Adam’s main course and his highest scoring of the week. A sharing portion of roast chicken crown, glazed with garlic and herb butter is served with individual plates of chicken stew. He mixes shredded leg meat with barley, sweetcorn, pickled turnips and more buttered leeks, then tops with crispy chicken skin and grated black truffle. Andi loves that the chicken is ‘cooked to perfection’ and Matthew praises ‘an enviable skill to make the completely familiar fresh and new and delightful’. Named after local music festival ‘Kendal Calling’, Hrishikesh presents a four-piece ensemble that includes pan-fried venison loin on cabbage, venison koftas skewered with butternut squash, pickled beetroot ‘guitars’ with vegetable pearls and a deep-fried potato ‘piano key’ stuffed with truffle mash. It’s served with a glazed blackberry, a fleck of gold leaf and a jug of sloe gin jus. Matthew credits the ‘incredible attention to detail’ but Amy and Oliver aren’t keen on the ‘overpowering’ flavour of the kofta. Amy summarises that it’s ‘made very well but I don’t think it has the X factor’. Attempting to breathe new life into the humble treacle tart, Adam’s ‘Madchester – I am the Resurrection’ is a lighter version of the classic pud. Built on a thin base of spiced and sugared speculaas biscuit, its treacly core is topped with clotted cream ice cream and fragments of orange, mint and Grand Marnier granita. Amy thinks it’s ‘amazing’ but Oliver says it’s ‘his least successful dish of the day for me’. Having repeatedly been told that Hrishikesh’s finale ‘And the Winner Is’ consists of no less than thirteen elements, it seems he’s treading that fine line between ambitious dessert and sheer plate-spinning frenzy. He serves a mirror-glazed ring of banana cake and chocolate delice, filled with mousse, topped with a gold chocolate note, torched banana, raspberry puree, milk sorbet, honeycomb, caramelised peanuts and whatever else will make this add up to thirteen elements. Hrishikesh’s ambitions almost crumbled on Thursday when he suffered the painful indignity of discovering his ring had welded itself to the cooling rack but a little minor surgery with a steady hand and a squeezy bottle saved the day. Oliver praises the ‘beautiful’ mousse and Matthew says ‘Tom Aikens gave this a ten and it’s easy to see why’. However, at the final judgement, frantically hardworking Hrishikesh loses out to the supercool simplicity of Adam’s menu. Hrishikesh is encouraged to try again next year. Well, perhaps he needs to just chill out a little first. I hear there’s an excellent local evening class in pottery.